It’s Almost Time For Super Bowl Sunday! 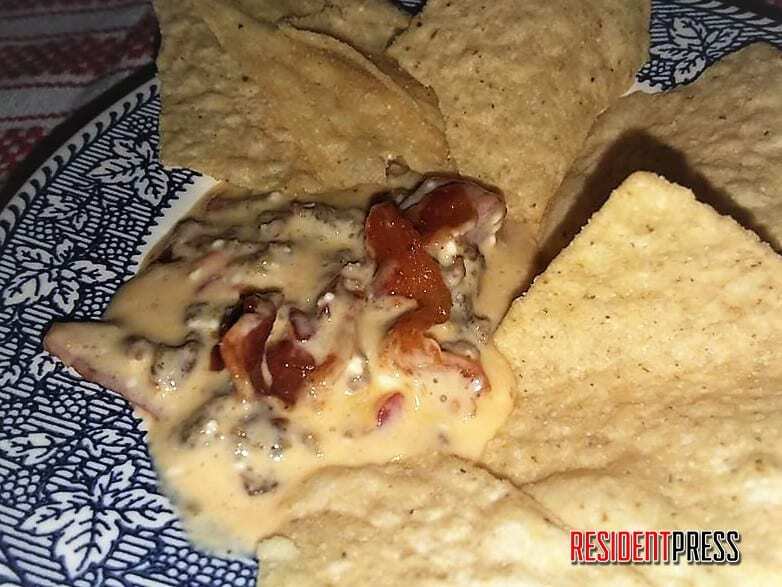 Try this Meat Lover’s Cheese Dip! Meat Lover's Cheese Dip will keep you occupied while you watch your favorite team on Super Bowl Sunday! It’s Super Bowl Sunday, and millions across America will be tuning in to watch the big game. However, millions of Americans will also be shopping for food like it’s Thanksgiving Day! According to Medical Daily , the Super Bowl is the second most calorie consuming day of the year! This beats Christmas and second only to Thanksgiving! Why? Well, researchers believe it’s because of emotional eating and distracted eating. So, do you have your pre-game snacks, game-time fillers, and your side-line munchies? Well, hopefully we can help you! Try this Meat Lover’s Cheese Dip to kick off the game! Preheat your oven to 350 degrees, and line a baking sheet with aluminum foil. Lay strips of bacon on the foil. Once the oven has reached the desired temp, place bacon in the oven for around 15 minutes or until crispy. Then, once the bacon has finished cooking, remove and drain bacon on paper towels. After the bacon is cooled, crumble bacon in a bowl and set aside. Next, slice Velveeta into cubes and place in a glass microwavable safe bowl. Now, slice the cream cheese into cubes and add to the bowl as well. Then, add the can of Rotel and the milk. Place into the microwave for 5 minutes. Then remove and stir. Place back into the microwave and heat for another 5 minutes. Remove and stir. Continue cooking at five minute intervals and remove after each five minutes and stir. This takes approximately 15 to 20 minutes to fully cook in the microwave. Once all the cheese is melted and there are no lumps, take a whisk and stir well. This will help get out the small bits of cream cheese that hasn’t blended well. While your cheeses are cooking in the microwave and your bacon is baking, place your sausage in a pan and cook on medium heat. Scramble the meat and cook till browned. Once the sausage is fully cooked, place in a bowl and set aside. Next, add the hamburger meat, garlic salt, onion powder and Cavender’s seasoning to your skillet, and cook it as well on medium heat until fully browned and well-done. Drain the hamburger meat in a strainer, and add this meat to the sausage. Once the cheeses are completely melted, remove from the microwave and slowly add in the sausage and hamburger meat. Now, stir in two teaspoons of Red Pepper Flakes as well as the taco seasoning. Stir until all spices are dissolved well. Now, you are ready to add the bacon for your last step. If you are wanting it to look pretty, you can sprinkle your crumbled bacon on top of your cheese dip. If you want to make sure no one steals all the bacon in one scoop of your cheese dip, I recommend adding your bacon and stirring it in with the rest of the cheese dip. Now, its game time! 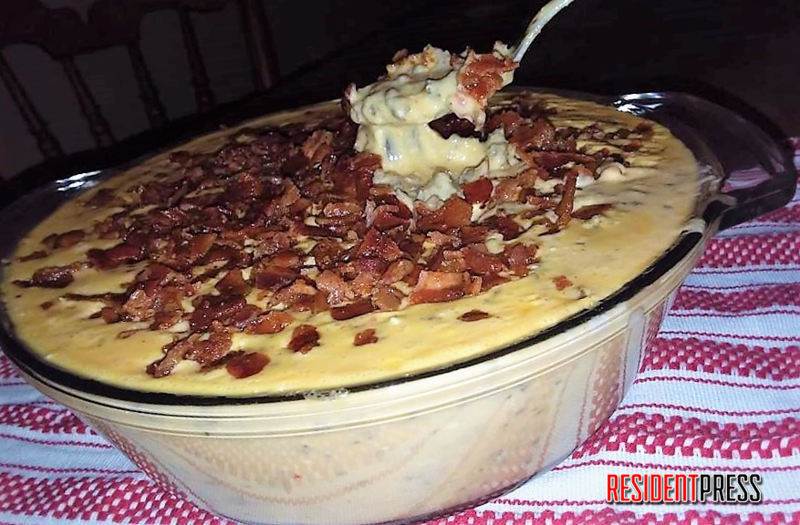 Sit and enjoy this meat lover’s cheese dip while your favorite team plays! You could add a can of chili if you would like more of a queso type dip. However, I like it better without. Just whatever your preference is. Also, if you have left over cheese dip the next day and trying to figure out what you should do with it, remove from the refrigerator and while it is cold and a thick dip, add in a can of refried beans. Stir until completely combined. While cheese dip is cold, place two to three tablespoons of dip into a tortilla and fold up like a burrito. Place in a skillet with vegetable oil and fry on medium. This makes delicious homemade burritos!! !